First announced in May 2014 and published in Oct 2014, the first package of public bus services under the new Bus Contracting Model (BCM) comprises 26 existing bus services (with 2 new bus services added in 2017 (944) & 2018 (991)) originating from the Jurong East, Bukit Batok and Clementi Bus Interchanges, and terminating at Bedok, Boon Lay, Marina Centre, Shenton Way and Toa Payoh. The route package is one of fourteen bus packages to be released by the Land Transport Authority (LTA) as part of the transition to the Bus Contracting Model (BCM). Originally, LTA planned for 24 bus services in the Bulim Bus Package. In the Oct 2014 revision, LTA had revised the figure to 26 bus services in total, inclusive of two new bus services serving Jurong East area (Service 41 and 990), which were launched in Q4 2014. In May 2015, Tower Transit was announced as the successful tenderer of the Bulim Bus Package, who would receive an estimated total fee of $556.0 million over five years. 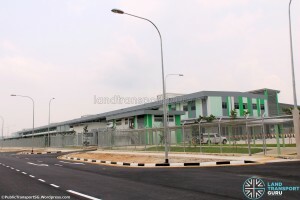 The then 26 bus routes were to be based out of the then-newly-built Bulim Bus Depot, located off Bulim Avenue, which was completed in 2015 and able to accommodate about 500 buses. Tower Transit gradually took over all bus routes in three tranches: on 29 May 2016, 12 June 2016 and 26 June 2016. This package started with about 380 buses leased to Tower Transit in the second half of 2016, and is expected to progressively grow to about 500 buses in 2021, in tandem with expected ridership growth and the development of Bukit Batok West and Tengah New Town. Originally closing on 5 Jan 2015, LTA extended the deadline by two weeks to 19 Jan 2015 as one of the bus operators keen to participate in the tender process has requested for more time to consolidate their bid for this route package. Apart from incumbents SBS Transit Ltd & SMRT Corporation Ltd who bidded for the Route Package, more than 20 other transport operators have also expressed interest in bidding. Among the tender requirements was one that required operators to have a proven track record of operating a fleet of at least 250 buses. Such a requirement would result in joint bids, as is the case of Travel GSH which operates around 40 buses. As of 18 Mar 2015, LTA shortlisted 8 bids for this tender. Aedge Holdings, Jinan PTC & Travel GSH / Qingdao Jiaoyun Grp were dropped out in the running for this tender. 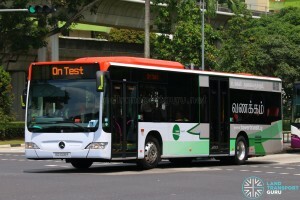 Tower Transit, which had the highest combined total score for quality and price, was awarded the contract. In its tender submission, Tower Transit demonstrated a good understanding of ground conditions with proposed bus schedules that closely matched capacity to passenger demand, and with an optimal deployment of buses. The company has strong experience, through its operations in London, in managing en-route bus service reliability. At the same time, Tower Transit emphasised in its proposal a strict maintenance regime for bus assets and infrastructure, with a good bus-to-technician ratio and detailed tracking of maintenance activities and records. In terms of manpower development, Tower Transit has comprehensive plans to attract and retain bus captains, to train and develop new employees with support from experienced employees, and to offer career progression for all levels of staff. To ensure a smooth transition with minimal inconvenience to commuters, the implementation of the 26 bus services were carried out in three tranches between May and June 2016. These services would be supported by the new Bulim Bus Depot located off Bulim Avenue, which was be handed over to Tower Transit in the second half of 2015 to allow them sufficient time to recruit and train bus captains and technicians. Bus Services 944 & 991 are operated by SMRT Buses under Negotiated Contract until the Bulim Bus Package contract renewal. Bus Services 991A & 991B are operated by SMRT Buses under Negotiated Contract until the Bulim Bus Package contract renewal. To ensure a smooth transition with minimal inconvenience to commuters, the Bulim package under the Bus Contracting model was implemented in three tranches from May to June 2016. Spaced two weeks apart, the three tranches handed Tower Transit progressive control over Bukit Batok, followed by Jurong East and finally Clementi Bus Interchange. All bus services would have scheduled headways of no more than 15 minutes for both directions during the morning and evening peak periods, with at least half of them having even shorter scheduled headways of no more than 10 minutes. Of these, the feeder services would run at even shorter intervals of 6-8 minutes. An estimated 45% of bus services would come at shorter intervals during peak periods when compared to the expanded BSEP. As part of the Negotiated Contract with SMRT Buses under the Bulim Bus Package, SMRT Buses will operate Bus Services 944 & 991 until the contract renewal. To attract more Bus Captains from both SBS Transit & SMRT Buses to join Tower Transit for their operations, Tower Transit has came up with an attractive employment package to woo them over. Bus Captains who are interested to join Tower Transit Singapore and has expressed interest would receive an offer of employment in mid-October 2015. They have until December 2015 to accept the job offer following which they would undergo familiarisation and training. 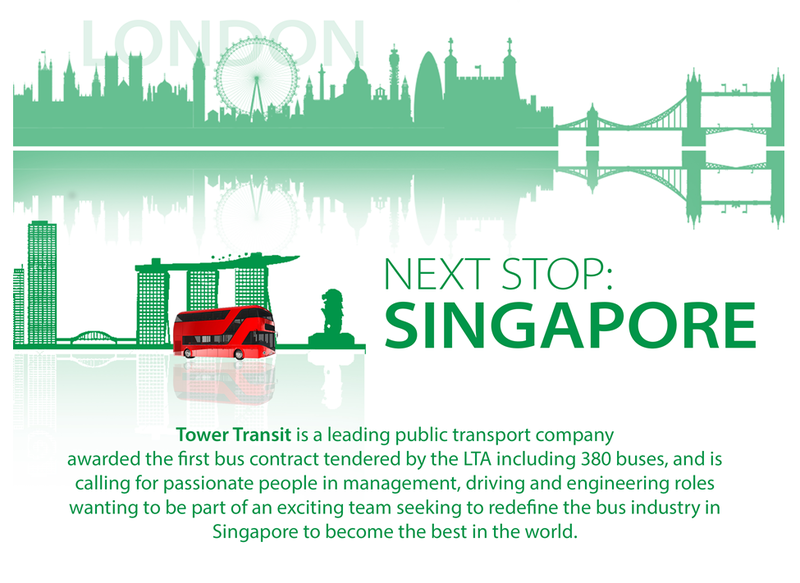 They would then finally take the wheel for Tower Transit Singapore in May/June 2016. 2014 (03 Oct): Bulim Route Package announced; Tender open till 5 Jan 2015. 2014 (17 Dec): Tender closing date extended to 19 Jan 2015.